This entry was posted on October 20, 2011, 10:23 am and is filed under Mortar. You can follow any responses to this entry through RSS 2.0. You can leave a response, or trackback from your own site. Hi John, good article. Yes ‘real’ tuckpointing is difficult, but doable nontheless. If only masons in the US would have the patience to learn how to do it!! I’ve always been taught to get as smooth a joint as possible in any pointing to give the surface more of a weatherproofing ability. 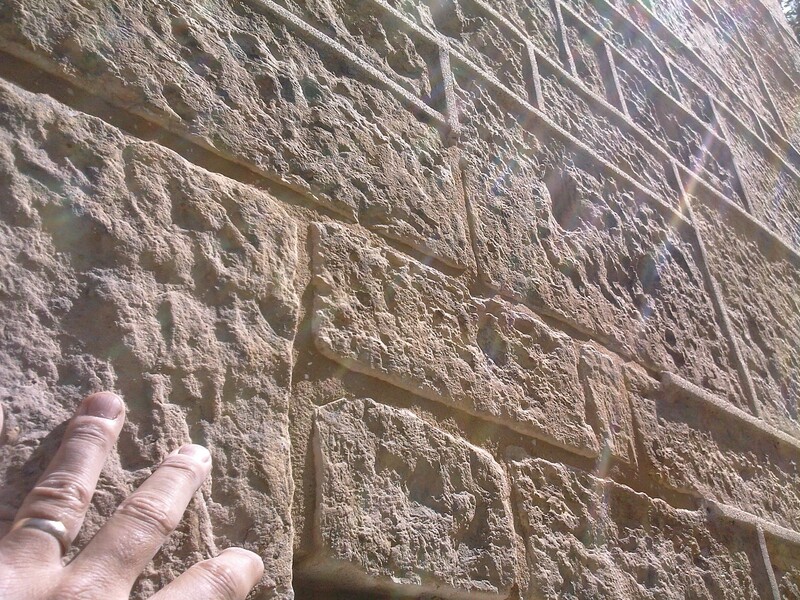 The practice over here in the USA is for masons to brush the surface of the mortar joints. The only reason I can see for this practice is to give a consistent finish because they don’t have the patience or the ability to make a proper weathered joint. So I’m surprised to see you advocating the practice over here? 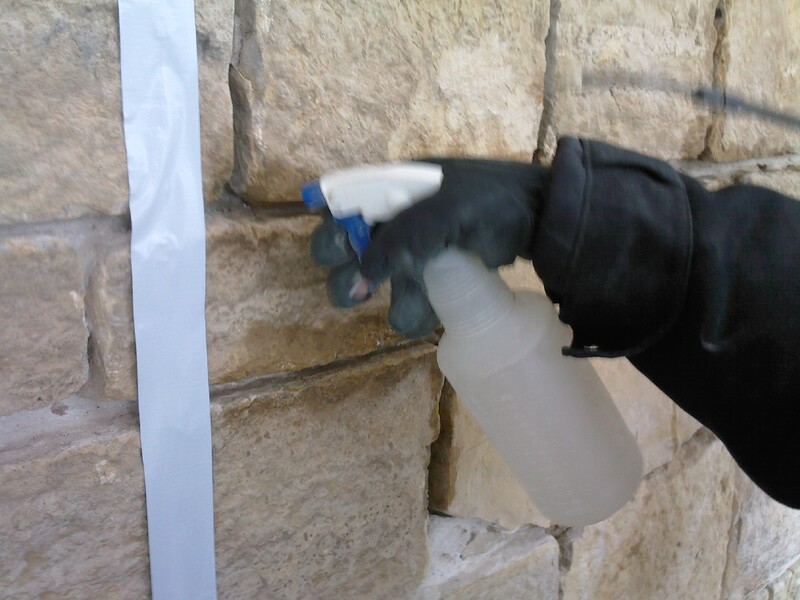 When dealing with lime putty mortar we found that opening up the texture of the surface of the joint provides the best condition for rapid carbonation of the material. In a sense, we are creating a very tight lime mortar joint and durable at the same time. The weatherproofing smooth joint you describe is recommended for cement-based mortar formulations as the material does not rely on the carbonation process (absorbing CO2 from the atmosphere) to cure. Just to concur with John, the joint surface (on rubble stonework in particular) is beaten (rather than brushed) with a stiff churn brush to increase the surface area and induce carbonation. Another reason this is done is to expose the sand particles/aggregate in the mix in order to match new work with existing weathered joints. The beating process also closes or compresses joints that have a tendency to shrink. Another bonus is that it creates an overall even finish.